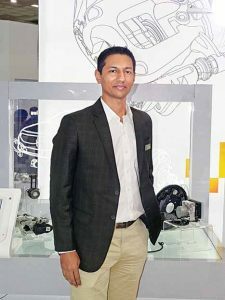 Brakes India is expanding its capabilities to design and develop braking systems and associated electronics for commercial vehicles in India. The hydraulically assisted disc brake system that the company has developed for LCVs, is aimed at improving their braking performance. In buses for example, the high frequency of start and stop makes it ideal for the hydraulically assisted braking system to be deployed, said Viji. “It could drastically improve the overall life of the braking system compared to a conventional pneumatic braking system,” he mentioned. The Unibooster actuation system that the company has developed for CVs up to 10-tonnes is coupled with hydraulic disc brakes and a hydraulic ABS. Claimed to make a highly optmised solution in terms of safety, stability and performance, the Unibooster could aid a significant weight reduction for goods carrying vehicles. It has the potential to achieve a higher Return-On-Investment (ROI) for fleet owners according to Viji. Drawing attention to LCVs with a GVW of over seven-tonnes adopting pneumatic brake systems, Viji said, “There is immense scope to offer a cost-effective and lightweight solution without the need to compromise performance.” Claiming that they are the first to indigenously launch a (uni) booster of this type, Viji revealed that many OEMs have signed up with them. “The first SOP is planned for the first half of 2018,” he said. Work is underway with different friction types to reduce brake noise in the inter-city bus segment. 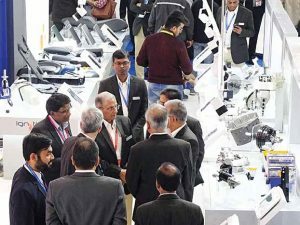 In the area of associated electronics, Brakes India is expanding its capabilities. The company is beefing up its facilities and increasing the work force. Following a development road map, which includes the setting up of facilities for testing and designing of products, the company is getting good support from ZF. It is saving the company the trouble of starting from scratch. 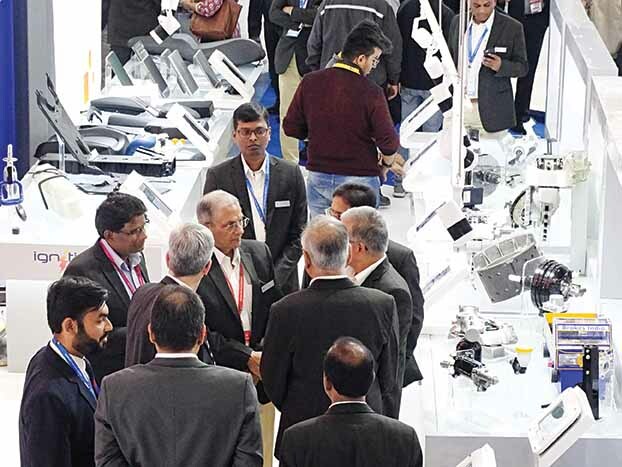 Expected to result in the move to a level where customers are supported not only in terms of an end product but also in terms of application and design, the association of Brakes India with ZF is helping it to drive numerous new initiatives. An example is the AC1000, a fourth generation radar. “With an operating frequency of 77 GHz, it (the radar) helps the system of which it is a part to detect vehicles and pedestrians. It also helps to meet 2016+ Euro NCAP five-star ratings,” Viji stated. With a capability of combining camera in a sensor fusion system to enhance the safety and comfort functions, the radar system is claimed to be an ideal solution for effective high-speed adaptive cruise control and automatic emergency braking performance. S-cam, a mono lens front camera is claimed to offer high performance, and is highly compact in its construction. Including advanced object recognition technology aided by the Mobile EyeQ3 image processor and vision algorithms that combine with ZF’s longitudinal and lateral vehicle control algorithms for functions like adaptive cruise control, automatic emergency braking and lane keeping assistance, the camera also helps dial additional features like traffic sign recognition, and large animal and pedestrian detection. The automatic emergency braking is made more attractive by the use of a common housing design. The camera is claimed to be compatible with multiple OEM connector options. Its thermal design is said to enable reliable high-temperature operations. The Tri-cam forward camera that Brakes India offers is said to deliver long-range and short-range wide object detection for premium and semi-automated applications. It is claimed to offer best-in-class optical performance with the use of a fish-eye lens for optimum short-range object detection and a telephoto lens for long-range object detection of up to 300 m. The compact mechanical design is said to be smaller than other stereo cameras on offer in the market. The multiple optical paths effectively support automated driving functions. With advanced electronics, driver assistance systems and Electronic Stability Control (ESC) some of the buzzwords pertaining to the future of mobility, the company’s Integrated Brake Control (IBC) is aimed at meeting the future requirements of a low vacuum or vacuum-less braking system. 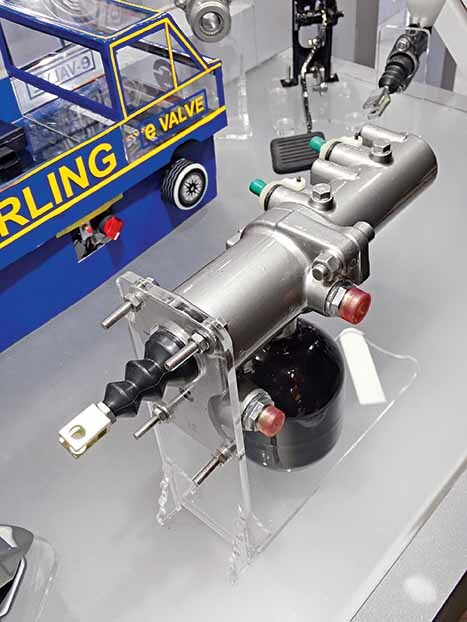 With electrification in powertrains on the rise, the company’s electro-hydraulic IBC unit is expected to replace older systems like ESC, vacuum booster, vacuum pump (where needed), associated cables, sensors, switches and controllers. Opined Viji, “The electro-hydraulic IBC unit offers superior performance through a single, integrated unit. It also leads to benefits like fuel economy and lower emissions.” Stressing upon regenerative braking capability, Viji mentioned that significant weight savings are facilitated by the need for fewer components, compact packaging and easier assembly. Other benefits of the IBC include reduced stopping distance, faster brake pressure build up and smooth functioning of automatic emergency braking system. IBC, Viji signed off, can be scaled up to suit an array of diverse requirements due to its compatibility with different powertrains including those of the LCVs too.